The Miracles Keep Coming. . .
As some of you already know, Plant-Based Slow Motion Miracle now has its own page on Facebook, thanks to Susan’s patience with walking me through the process of setting it up. If you haven’t already, I hope you’ll go on over and “like” it when you get a chance, and see what’s going on there. You’ll get details about my radio interview this coming Sunday and how you can listen online. And as if all that isn’t miraculous enough, the best miracle of all is that I just found out my chapbook is available for preorder earlier than expected! I’m especially pleased that my own watercolor sketch, which you see in the mock-up shown above, was chosen for the cover. It’s been seventeen years since I had my first book of poems published, and I did the cover art for that one too. It came out the same month I was diagnosed with MS, and I ended up being too sick to continue teaching or to promote it. In the years that followed there would be long stretches of time when I would become unable to even look at the computer screen or hold a book open to read more than a few lines at a time, let alone type or write regularly. I can’t tell you what a miracle it is to be blessed with the chance to make another book and have it go out in the world in this new and amazing way. You can read more about the process I went through to write the sonnets in this chapbook in my post The Envelope Please. Although there are no recipes in the chapbook, there are two poems specifically about the food I eat (carrots and oatmeal to be exact), and a couple about being in the garden. Lots about the wonder of the world and the beauty of the seasons, no matter how hard things might be. And my dog Romeo makes an appearance in more than one of them, too. You can help make sure the press run happens by being one of the first 55 people willing to preorder it, which you can do at this page at the Finishing Line Press web site. If I dare to dream a little bigger, when 100 people preorder it the size of the press run jumps from 250 to 500. As my son once said on a Christmas morning when he was very small to everyone who was handed a package, “You better open it up. You never know. There might be a toy in there!” I hope you’ll be one of the first of my blog readers to support the publication of if a sparrow. Thanks for reading my words, everyone, from the bottom of my heart. It truly is readers like you that make these miracles possible! Congratulations! I’m so happy to be one of the first to preorder your book and can’t wait to see it! The cover is just beautiful. How exciting that your book is coming out. I preordered my copy. I hope you will get a wonderful response. I love your writing and I cannot wait to hold your book in my hands and enjoy your poetry. Blessings back to you, Kathleen, and thank you! You made my evening. Love what your son said about the gifts, so cute! Thanks so much, Cathy!! Yes, that still makes us all laugh. We invoke it every Christmas! It’s a great way to think of things. Plus I am in a battle royal with the sparrows in my yard right now… then seeing the sparrow at the top is a bit wry too… oh yes the mighty sparrow! thanks for sharing for your chapbook too. Thanks for being happy to see me on facebook, and for being glad to see the chapbook coming into being, carollynne–I’m still getting used to it all. I think Keats and I have another experience of sparrows than the one you’re describing. 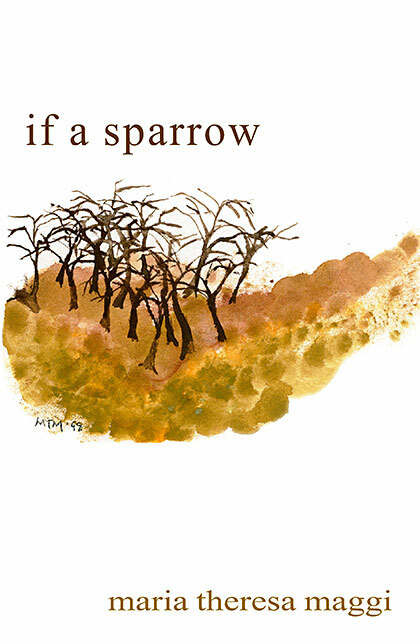 He wrote “if a sparrow come before my window, I take part in its existence and pick about the gravel.” Hope you and the sparrows in your yard arrive at a peace treaty or at least a detente soon!! Previous post: Go, Carrot Dog, Go!